An inscription found in Sadras dated to 1359 mention this place as Rajanarayanan Pattinam after a Sambuvaraya chieftain. There is a temple to Vishnu here, and because of it later the city was known as Sadiravasagan Pattinam. 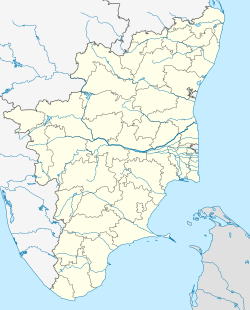 This later changed into Sadurangapattinam, shortly known as Sadirai. Later the Dutch called it Sadras. Modern Sadras was established as part of Dutch Coromandel in the seventeenth century, which was even before center for weaving superfine muslin cloth for export besides Pearl and edible oil. The magnificent Sadras Fort, built for commercial purposes by the Dutch, is a vast compound enclosing a huge granary, stable and structures used to mount elephants; unfortunately only one of these structures survives. The fortress was raided by the British in 1818 and came under the control of the British East India Company. It is now maintained by the Archaeological Survey of India in efforts to contain further dilapidation of this great monument. From 2003 major restoration of the damaged fort was carried out leading to may archeological findings. The first battle between British East India Company and the Dutch started here as Battle of Sadras. The fort includes a cemetery with many beautifully decorated graves that date to between 1620 and 1769. In recent times, Sadras has found mention due to its proximity to the atomic power plant (Madras Atomic Power Station) and the atomic research centre (Indira Gandhi Centre for Atomic Research - IGCAR) both located at nearby Kalpakkam. The village of Sadras is sandwiched between the power plant and its township. There are two bridges connecting Kalpakkam and Sadras. The Sadras Fort also contains picturesque tombs. ^ "SADRAS HISTORY & MONUMENTS". Art and Architecture Research, Development Education (AARDE). Archived from the original on 28 August 2012. Retrieved 25 February 2012. ^ Moulana, Ramanujar (16 April 2018). "Day-trip down history lane". Metro Plus. Chennai: The Hindu. p. 4. ^ P. Jayakumar (2001). தமிழக துறைமுகங்கள். Thanjavur: Anbu Publishers. ^ Hussain Kodinhi (25 February 2012). "Sadras cries for attention". Chennai. Times of India. p. 10. ^ Anusha Parthasarathy (14 June 2012). "Sadras musings". Times of India. Retrieved 25 June 2012. Wikimedia Commons has media related to Sadras. This page was last edited on 24 February 2019, at 05:52 (UTC).